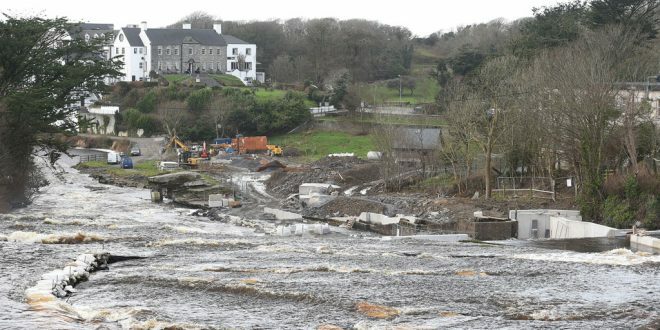 A general view of the construction work underway at the falls in Ennistymon. Photograph by John Kelly. WORK being carried out to develop a hydroelectric system at the Falls Hotel in Ennistymon will not interfere with the long-term welfare of the renowned cascades that front the hotel, according to a Clare Green Party member. 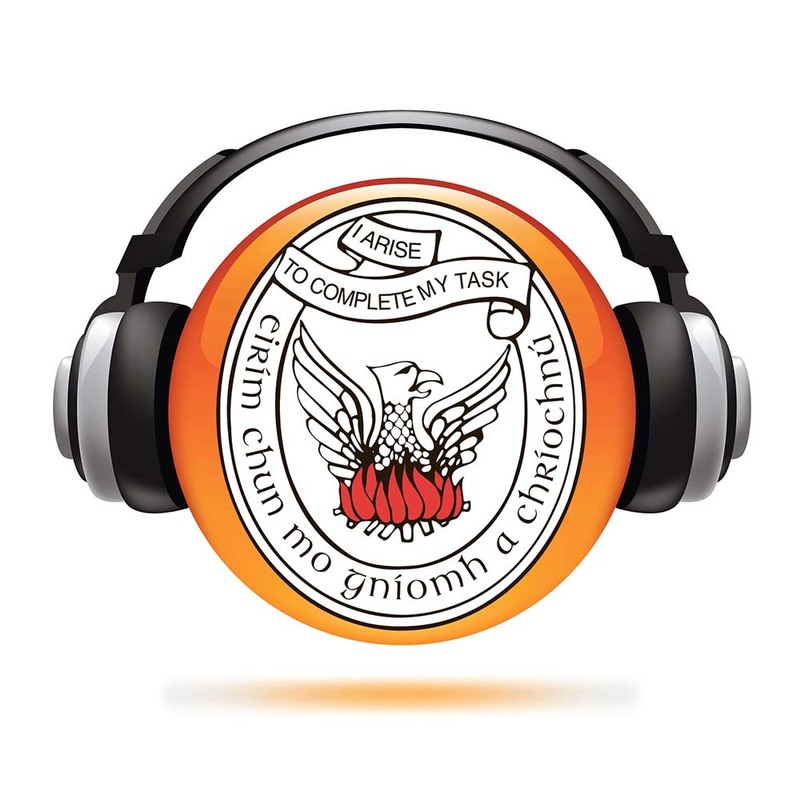 Work is ongoing to complete the project, which was given planning permission by Clare County Council. “It looks terrible at the moment but the hotel depends on that scenic view more than any other business in the town and, long term, it will be fine. The hotel is one of the greenest in Ireland. 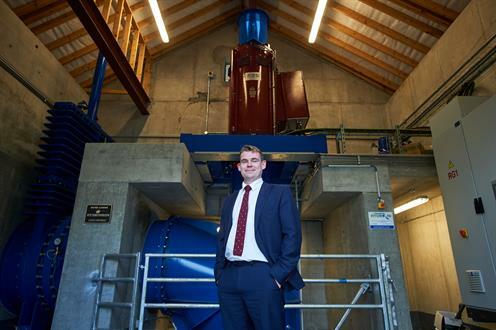 They have bees, an orchard and they grow organic food and now they’ll have hydro-power. Then the hotel will be run on hydro-power completely and as long as the falls go back to looking the way they did before, I have no issue. 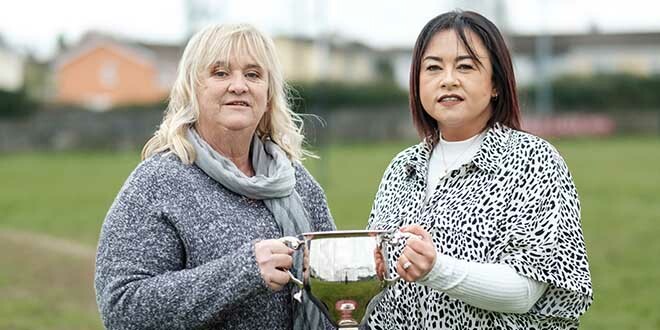 One of the main stipulations of planning is that long term it will go back to looking the way it did before,” said Róisín Garvey of the Green Party. “If I thought it wasn’t going to be done well, I’d be the first to organise a protest. People are ranting about how terrible it looks now but what you see there now is work being done. It was supposed to be finished a couple of weeks ago but it has been delayed because of the weather. I wouldn’t be judging this project until it’s finished,” she stressed. Ms Garvey is adamant that the development should be judged when it is completed. “A few people are judging it on exactly what they see at the moment. It does look bad but sometimes you have to make things look worse to make them overall better. The falls is one of the hotel’s biggest selling points. The owners have made it into a hugely successful hotel and they’re not going to ruin it by leaving a concrete wall visible to everybody. People should have a bit more faith. “We’re so into jumping onto the worst-case scenario straight away. People’s default shouldn’t be to presume it’s going to be a disaster. This is overall a really good thing. We need more hotels doing this and we need people to look at alternative energy sources. Dan McCarthy [owner] has spent years researching how to do this in the most aesthetically pleasing way. The hotel owners are pioneering in some ways,” the Green Party spokesperson maintained. Senator Martin Conway also supported the project, pointing to the jobs sustained by The Falls Hotel. “They employ 120 people practically all year around and in terms of generating footfall and traffic flow around Ennistymon, The Falls Hotel is essential. They run a lot of events and the overflow fills every B&B in the area on a regular basis. The energy bills for the hotel run into hundreds of thousands. In the long-term this will result in a saving, which will result in making the jobs at the hotel more sustainable,” he observed.